Industry Overview - USPh - U.S. Physical Therapy, Inc. The U.S. outpatient rehabilitation market is estimated to be a $30 billion industry with a projected annual growth rate of five percent or higher. The sector is also highly fragmented, with no company controlling significant market share. Given the aging and active US population, the demographics favor a sustained growth in patients seeking or requiring rehabilitation services. Also increasing numbers of Americans who engage in fitness regimens, coupled with increasing numbers of weekend warriors, is driving increased demand for physical therapy and rehabilitation treatments across the U.S. The most common conditions treated with physical therapy and rehab are lower back pain, spine, shoulder and rotator-cuff injuries, knee disorders as well as sprains and strains of various types. With pressures to lower patient costs across the board, private insurers and government health programs are increasingly turning to low cost/high quality outpatient providers.  USPh is a leading owner/operator of rehabilitation clinics in the U.S, with over 590 clinics in 42 states.